NEW! 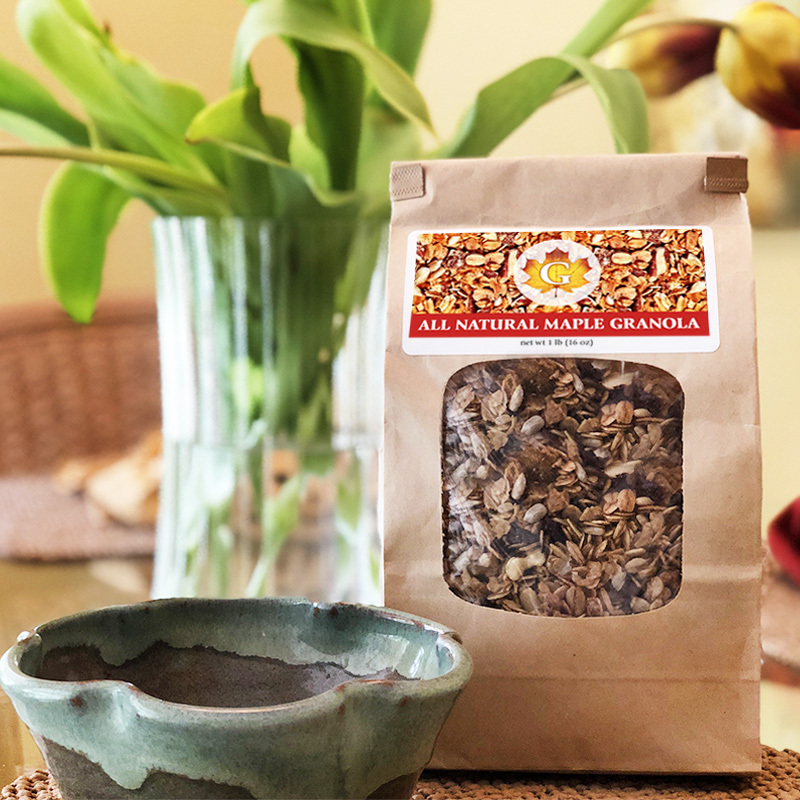 All Natural Maple Granola packed with so much freshness and ready for your family to enjoy. Green’s All Natural Maple Granola is a perfect balance of oats, fruits and nuts all mixed together with the delicious taste of maple. Uses: Sprinkle on yogurt, hot oatmeal, apple crisp, ice cream, salads, and as a tasty on the go snack. Ingredients: Organic rolled oats, pure Vermont maple syrup, roasted sunflower seeds, organic coconut oil, dried cranberries, dates, raisins, walnuts, pecans, almonds, cinnamon and pure vanilla extract.